​It's a record again. A hundred fisherpoets will be at seven venues, the most ever of both. Careful. The paint's still a little wet. 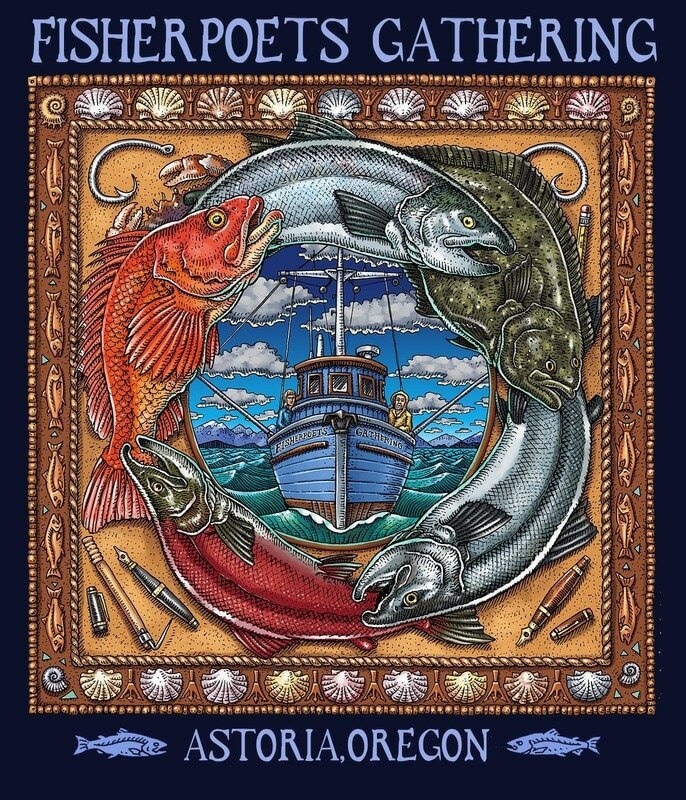 Ray Troll and the Ratfish Wranglers, Ketchikan AK in concert to 11 p.m.